Plan ahead for the coming tax filing season. There are important changes you should know about before the 2017 filing season begins. If you are a client of Tax On Wheels, LLC we will take care of everything for you. If, on the other hand, you are the do it yourself type, there are a couple of things like refund delays and electronic filing procedures you should factor into your tax preparation regimen. The IRS lays out all of the details on its website, IRS.gov/GetReady to help taxpayers understand the changes that may affect the processing of tax returns and release of refunds. We encourage you to review this page now before tax season so that you will be ready for what is in place now. As always, please feel free to contact Tax On Wheels, LLC at 803 732-4288 if we can be of assistance to you. This entry was posted in Blog and tagged e-file, IRS, Tax Return on November 18, 2016 by Taxman. WASHINGTON—The Internal Revenue Service today announced the launch of a new, online public directory of tax return preparers. This searchable directory on IRS.gov will help taxpayers find a tax professional with credentials and select qualifications to help them prepare their tax returns. Yes, Tax On Wheels, LLC requires all preparers to be listed or eligible to be listed in the directory. Please give us a call at 803 732-4288 if you have any questions. This entry was posted in Blog and tagged Tax help, Tax Preparer, Tax Return on February 5, 2015 by Taxman. Read more about which form to use in IRS Publication 17, Your Federal Income Tax. The quickest way to get tax forms and instructions is to visit IRS.gov and click on the ‘Forms & Pubs’ tab. New tax forms often appear online well before the printed forms are available. You can also have forms mailed to you by calling the IRS at 800-TAX-FORM (800-829-3676), or you can pick them up at a local IRS office. Some libraries and post offices also have tax forms. This entry was posted in Blog and tagged e-file, IRS, tax forms, Tax Return on January 30, 2014 by Taxman. 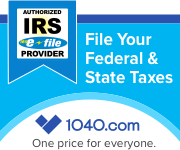 You can get additional information about filing your tax return by calling Tax On Wheels, LLC at 803 732-4288. This entry was posted in Blog and tagged IRS, Tax Return on May 4, 2013 by Taxman. This entry was posted in Blog and tagged IRS, Tax Return, Tax Transcript on February 27, 2013 by Taxman. Want more information about filing requirements and tax credits? Contact Tax On Wheels, LLC at 803 732-4288. This entry was posted in Blog and tagged e-file, IRS, tax, Tax Return on January 31, 2013 by Taxman.